Akihabara, or Akiba, has gained worldwide recognition as the heart of Japan’s high-tech and otaku (ie nerd/geek) culture. 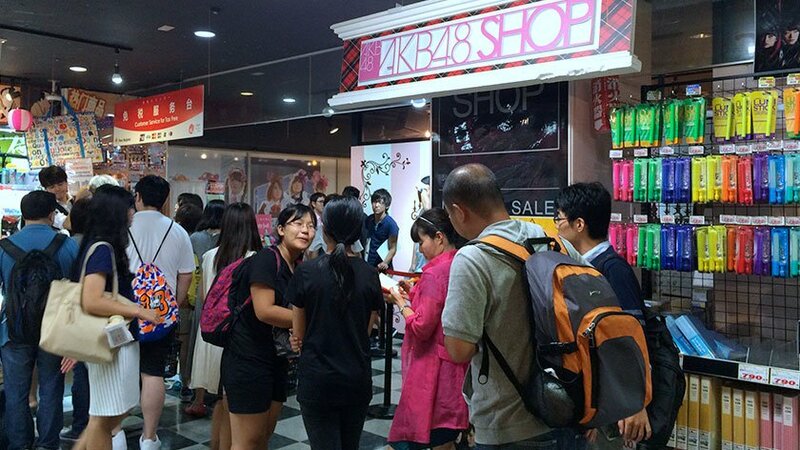 Almost everyone who comes to Japan wants to visit it to shop, find anime/manga, go to a maid cafe, or see AKB 48. However exciting it is, it is not terribly wheelchair accessible if you want to really dig into the culture. With a disability, it can be a difficult, but still worthwhile place to visit. Akihabara was once near a city gate of Edo and served as a passage between the city and northwestern Japan and was home to many craftsmen and tradesmen. After being destroyed in a fire in 1869, the Chinkasha, or fire extinguisher shrine was erected. It was nicknamed Akiba – a deity that can control fire – and the area became known as Akibagahara and later Akihabara. From the 1930s on the market became very forward looking and began to focus on home appliances and then shifted to electronics by the 1980s. 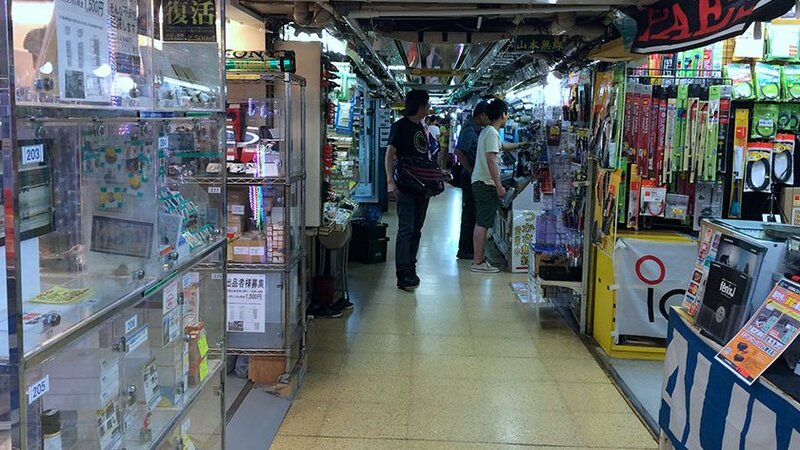 There are hundreds of electronics shops – from stalls with transistors to big chain stores selling home appliances – interspersed with stores dedicated to anime, manga, and video games. The main street is closed to traffic on Sunday afternoons. As this is an entire neighborhood, it is very difficult to sum up! 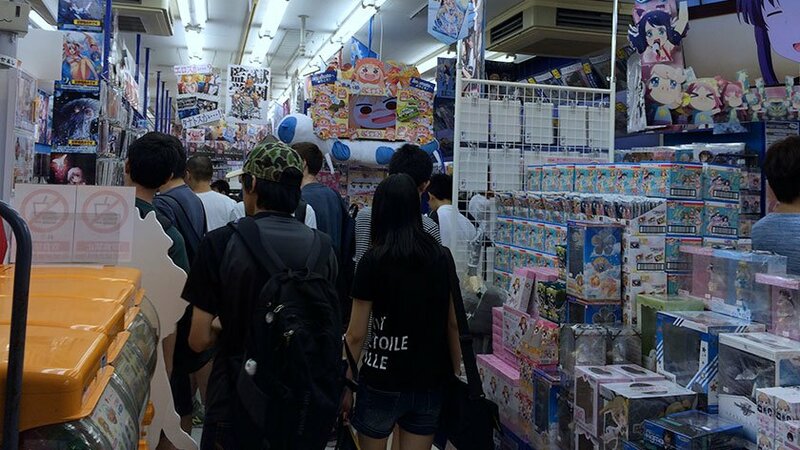 Akihabara is one of the more cramped shopping areas of Tokyo. In addition to the throngs of people visiting and shopping, many of the shops are small, filled with stuff, and often are a bit older with a step or two. Unfortunately, this may mean not going into some interesting places, being limited to the first floor, or finding yourself in a dead end at the end of a maze of shelves and then needing to try to back out! While that might make it sound like a place to avoid, the atmosphere and places that are accessible still make it a very worthwhile place to check out when visiting Tokyo. Below are some tips for a few major places. 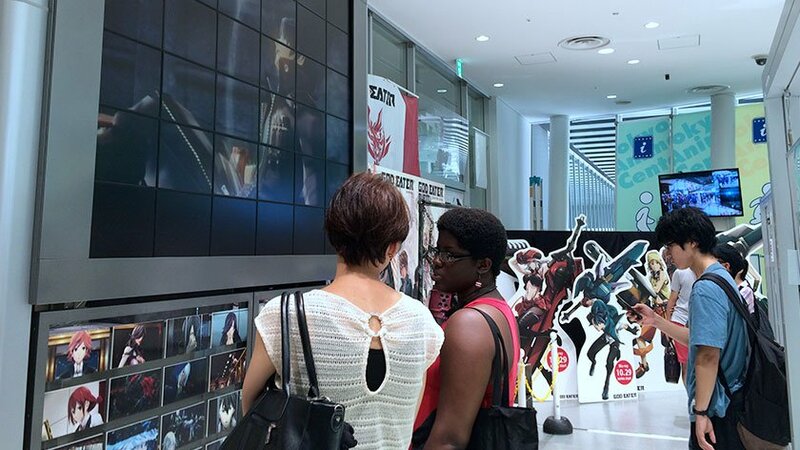 Located in Akiba Ichi, The Tokyo Animation Center offers a slightly more accessible option for seeing some Anime. 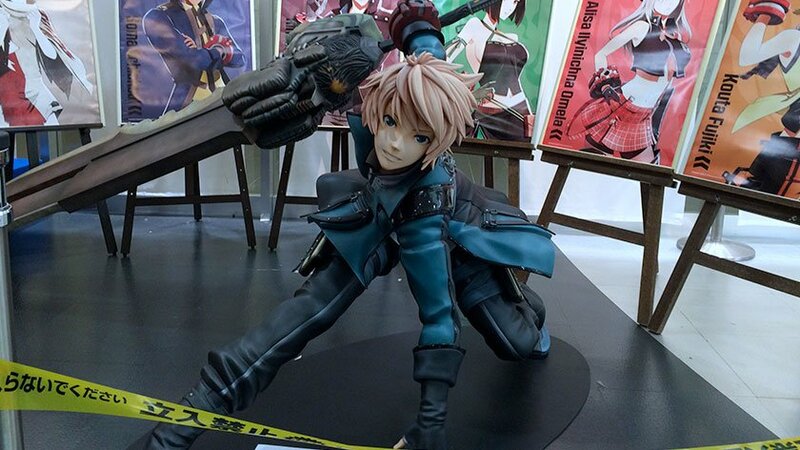 It has exhibits and showcases anime sketches and drawings used in the TV shows, large figures, and a small store. While it is unlikely to satisfy a die-hard fan, it is good for people to get a bit of an idea about Anime. Akiba Ichi features a number of restaurants (majority are accessible) and accessible toilets on the 1st and 4th floors. 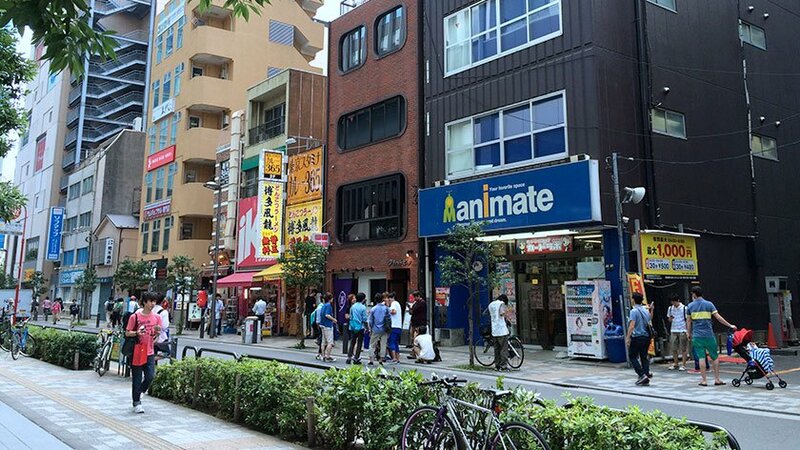 Animate is located across the street from Akiba Ichi and is a zoo. There are 7 floors cram packed with manga and anime-related figures, cards, videos, goods… and about 30,000 fans of such goods. You have been warned. The main entrance has an slope that is on a 45° angle at more likely for bringing goods than wheelchair access. The rear entrance (the side facing Akiba Ichi) has an entrance that is easy to use. However, once inside the shelves are very tight and people are crammed in. After entering, head to the very left and you will find a narrow, relatively steep ramp leading to the main store. There is an open door and fire extinguisher at the top that may need to be moved as it is a narrow hall. There are two elevators in the center that are big enough to use in a wheelchair. Every floor is packed with stuff and people. While video game arcades have faded from the mindset of people in most countries with the rise of home video game systems, Japan is still home to many game arcades. 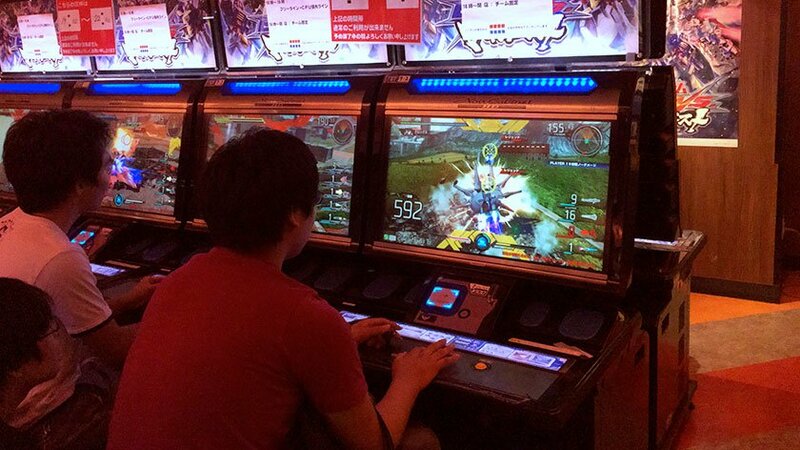 Club Sega offers a multistory paradise with games focusing mostly on fighting and Gundam robots. The left side of the store entrance is ramped and there is an elevator that is very small but can just barely fit a full-sized wheelchair if you angle it correctly. Since most arcade games in Japan are designed to be played on a stool, they can actually be played by someone in a wheelchair. Though, most of them are paired with an other machine for competitive play – expect to have your game ended. Quickly. If you are looking to buy, there are countless little stores with varying degrees of accessibility. If you aren’t looking for anything too niche, Yodobashi Camera has the most open layout. Or “Donkey” as it is more often called, has nothing to do with literature. 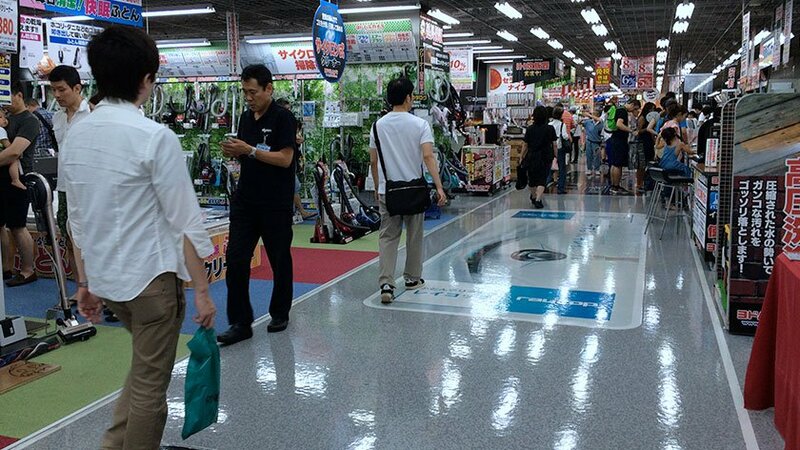 It is a chain store across Japan offering discounted goods from cup noodles to furniture. The one in Akihabara is, of course, unique. 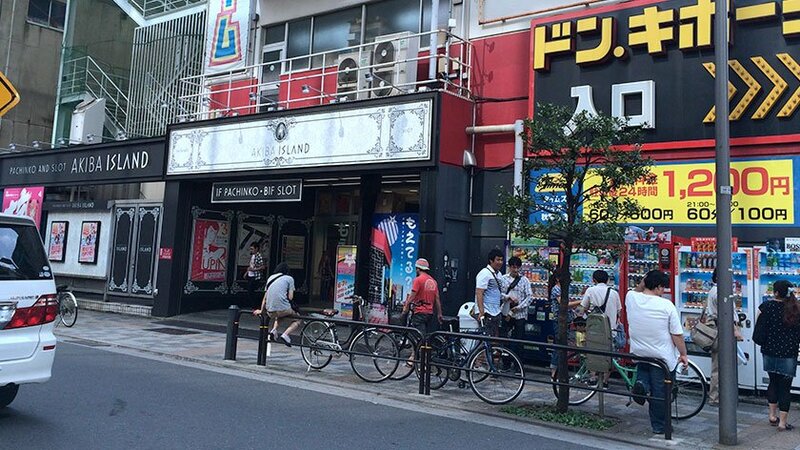 On top of the general merchandise floors, there is a (non-accessible) Maid Cafe, cosplay goods, and an AKB48 goods shop. 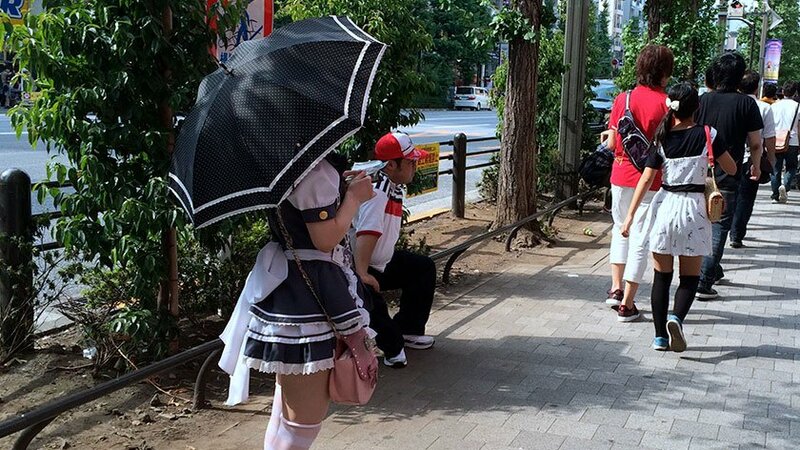 If you said, “huh?”, here is some study material: Maid Cafes, cosplay, AKB48. 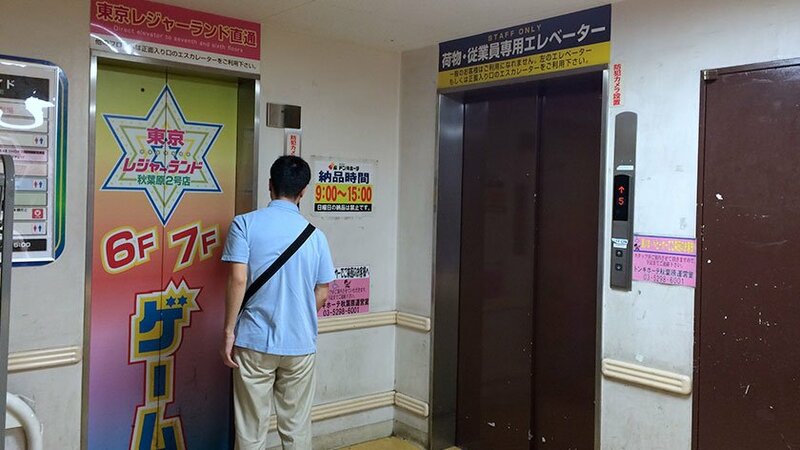 However, the Don Quijote elevator is only available via the back entrance and drops you off in the staff area, meaning you will need to ask for staff assistance to leave or go to another floor. For big stores, Yodobashi Camera is the best for size, choice, and accessibility. It has 7 floors of electronic goods divided by specialty by floor (ie appliances are on a different floor than audio equipment). There are also a number of restaurants and a book store within the huge building. 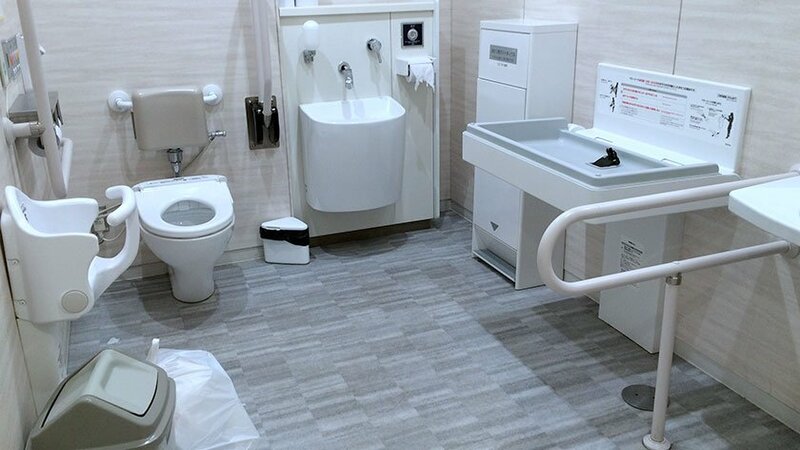 The best part is that it has an accessible washroom on nearly every floor, has wider aisles, and select elevators have buttons low enough for wheelchair users. Additionally, there are a few other big stores. LaOX is great for tourists and has a bit of everything – focusing on internationally usable goods. The floors are wide, but the elevators are a bit small and have high buttons. Labi, near the train station with the escalators viewable from outside, is similar to Yodobashi but not as big and the elevators are a bit hard to to get unto due to a sharp turn. There are no accessible toilets. Radio Center is incredible – it is like a tunnel built into a building that feels like a squished market. Most of the goods are geared towards hobbyists and sells items ranging from transistors to CB radios. Some stalls are so small that the owner essentially sits behind a table in closet and must crawl out from under his/her merchandise to leave the store! Of course the aisles can be a bit small but are passable in a wheelchair. There are a number of entrances (most accessible) so look for the easiest to enter (some entrances are busier at different times). 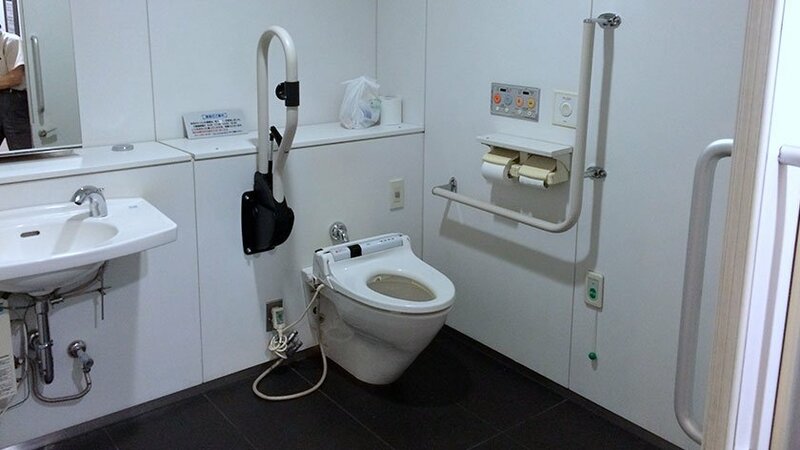 You can occasionally find wheelchair accessible toilets but your safest bets would be: any of the stations, Yodobashi Camera (most floors), Akiba Ichi (1st and 4th floor), and Akihabara Radiokaikan (next to Labi, 2nd floor). Most are clean and spacious enough. Bear in mind that due to all the visitors, elevators wait times can be long – so don’t leave it to the last minute! Here are some pictures. Akihabara is a must-visit in Tokyo. It gives you a glimpse into the heart of what most people imagine when they think of Japan – a high-tech paradise. 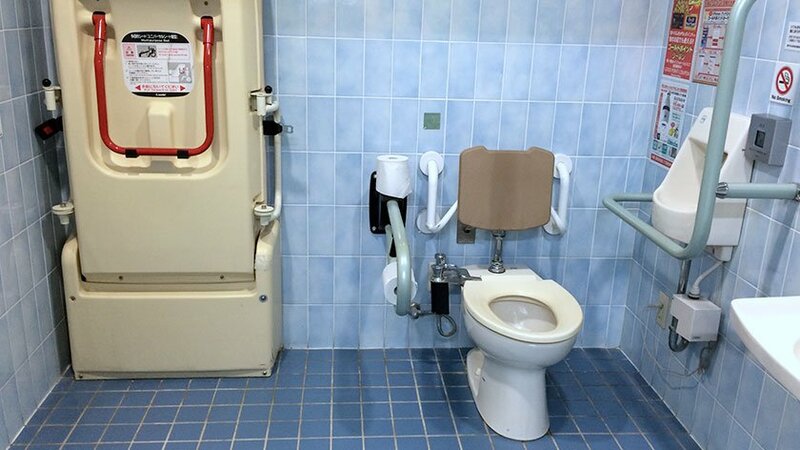 It does certainly have accessibility challenges if you are in a wheelchair. However, you can visit electronic shops as well as buy manga and anime goods – you just can’t do it in as many places as most people can. A sufficient enough number of toilets are available that it shouldn’t be an issue. Temples and Shrines are great, but be sure to visit Akihabara for another unique aspect of Japan!